If you’re interested in working in sports, read on. When I heard about a new book earlier today, I knew I had to check it out. 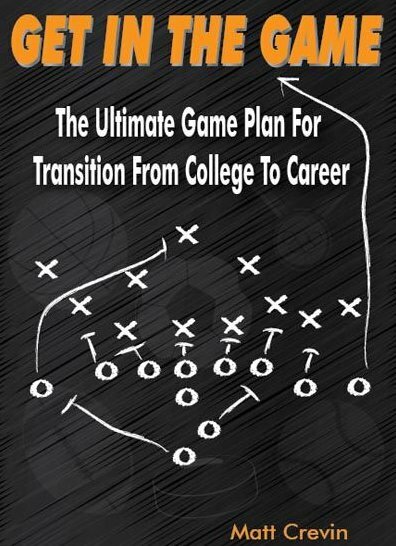 and it’s written by Matt Crevin, a sports career coach. There are a lot of people who offer advice on how to succeed in this industry, but most of them share only cliches. As such, I was skeptical when I first heard about the book. Once I dove into it today though, Matt really impressed me. I’ve worked as an entrepreneur for a few years now, and I’ve had the opportunity to learn from some really great people. Rising Coaches Elite is an organization for college coaches by college coaches. Founded in 2010 by then-members of the Clemson support staff, the group has grown tremendously the last couple years. The Rising Coaches aim to support people in the college basketball community in advancing their careers and getting their dream jobs. The third annual Rising Coaches Conference took place here in Las Vegas in July, 2012, and I fortunately had time to attend the Wednesday session. Northeastern head coach Bill Coen led off the respected group of coaches who were generous enough to take the time to speak to the roughly 80 people in attendance. This review was updated on June 4, 2014. I discovered Sports Management Worldwide back in 2010. I came across their web site while exploring ways I could work in basketball. Like millions of other people out there, I wanted to work in sports, but I didn’t know how to get started. Sports Management Worldwide seemed like they could help me, so I booked a ticket to their career conference at the 2010 NBA Summer League. That conference was a wonderful experience. I heard from speakers who included NBA general managers Neil Olshey and David Kahn. I made some great friends at the conference,particularly my dear friend Josh Url, who now works as an Operations Manager for Synergy Sports Technology.